Marketing has evolved. It’s no longer about what you make but the lifestyle and experience you promise. By positioning yourself with strategic branding and messaging, you can attract the unicorn clients that you’re dying to work with. I know this from personal experience. At the beginning of launching my branding business, I had no clients or packages in place. For the first several months I floated around, putting elaborate proposals together, attending 3 networking events minimum per week, and working my little bum off, trying to find work in all of the areas I had experience in; social media, copywriting, content strategy, branding, etc. "I thought that I’d make myself more relevant and appealing to more potential clients by trying to be all things to all people, but in reality I made NO MONEY." The tragic irony was my branding was all over the place. I had a pretty website, but it was unclear what I specialized in, what made me different from my competition, and which types of businesses were a right fit for me. It wasn't until I got crystal clear on my brand identity that I started to book clients. Following the steps I'm sharing below, I've effectively doubled my income and can happily say I'm attracting dream clients that I love working with. "Branding is about so much more than just a pretty logo or website." The first step to creating a successful brand is to get seriously clear on your offering + ideal clients. Don’t worry if you don’t have the best assets at the beginning. Having a solid brand story is more important. Get a solid brand strategy together and, if you’re a service business, set up clear simple packages (even brand them if you can) that are easy for customers to understand and refer you. Learn more about what goes into our Brand Sprint strategy sessions. With your solid brand strategy in place, say buh-bye to anything (including new work) that doesn’t fit your brand and vision. Don’t try to be the Jill (or Jack) of all trades. Even though you may get bit jobs easily, it makes your brand unfocused and hard for customers to latch onto when you are not focused in an area of expertise people can count on. 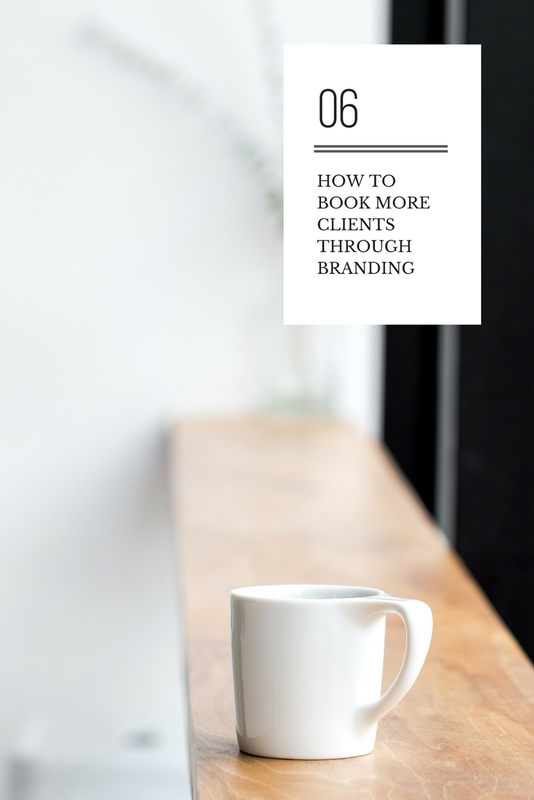 You end up scraping the bottom of the barrel instead of getting the focused clientele you want. Taking on every opportunity will never help you get to the level that you want to get to. Once you've nailed steps 1+2, you'll need to create some brand awareness for what you do. The easiest way to do this is to start with your personal network. Don't get this confused with selling to your personal network. You should instead think of this as simply getting coffee with old acquaintances to catch up with what they are doing and maybe share what you've been up to. Tip: I designed a simple (non salesy) email and sent it around my personal network; the 5,000+ contacts I had in Gmail, LinkedIn, old rolodexes, etc. The purpose of the email was friendly and casual, and the only call to action was to set up a call or in-person meeting with me to catch up and see if there was an opportunity for synergy. No expectations were made. I booked one person as a direct result of this email campaign, but I also got the word out to old managers, coworkers, friends, etc. about what I was doing. I’ve really made an effort not to abuse these lists/contacts. I only email my contacts at large once per year now to keep the word out about what I’m doing. Think of it as a business Christmas card. There are so many ways to do this; workshops, speaking on or hosting your own podcasts, sitting on panels, speaking at relevant events, writing for a publication in your subject area. There are plenty of companies out there looking for speakers on a variety of topics. To get the best response, find the organizations that fit your brand and are looking for your particular gifts. I got my start teaching workshops on branding at a tech school I had an existing relationship. They’ve been so popular that I’m now asked back twice per month and I’ve taught them for other accelerators and organizations around Los Angeles. Putting a little time and energy towards this every month will pay dividends in the end. I’ve recently booked a handful of clients that were on panels with me or attendees of my workshops. Want more help getting clear on your brand? Get our free Brand Planning Worksheet with helpful tips on creating a brand that attracts!